In the early – or any — history of Tiki culture, there are two central names – Donn (aka Ernest Raymond Beaumont-Gantt) and Vic (aka Victor Bergeron). If the former hadn’t opened Don the Beachcomber and the latter hadn’t launched Trader Vic’s, the world never would have discovered the escapist wonder of the potent tropical cocktail with a paper umbrella in it. 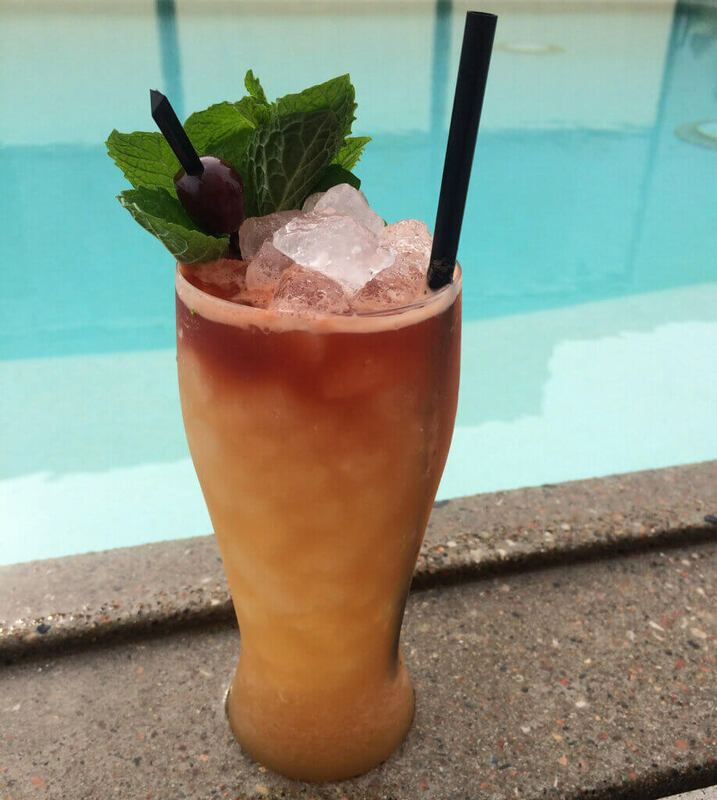 Thanks to the meticulous research of folks like Jeff “Beach Bum” Berry and a slew of enthusiastic bartenders, Tiki culture is here to stay, even in the thick of winter. 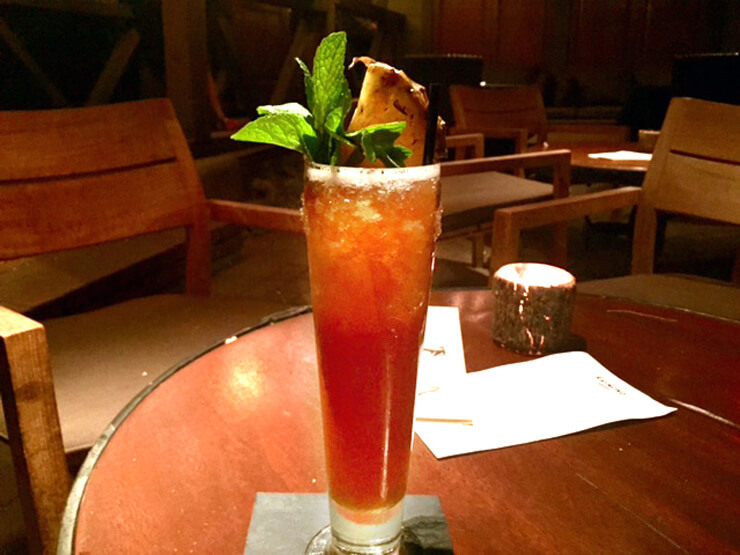 The allure of the Tiki drink is rather obvious – fresh fruit juices combined with rum (usually) and served in whimsical glassware, which could be anything from a hollowed out pineapple to a skull to a mo’ai collins-style glass. What’s not to love? 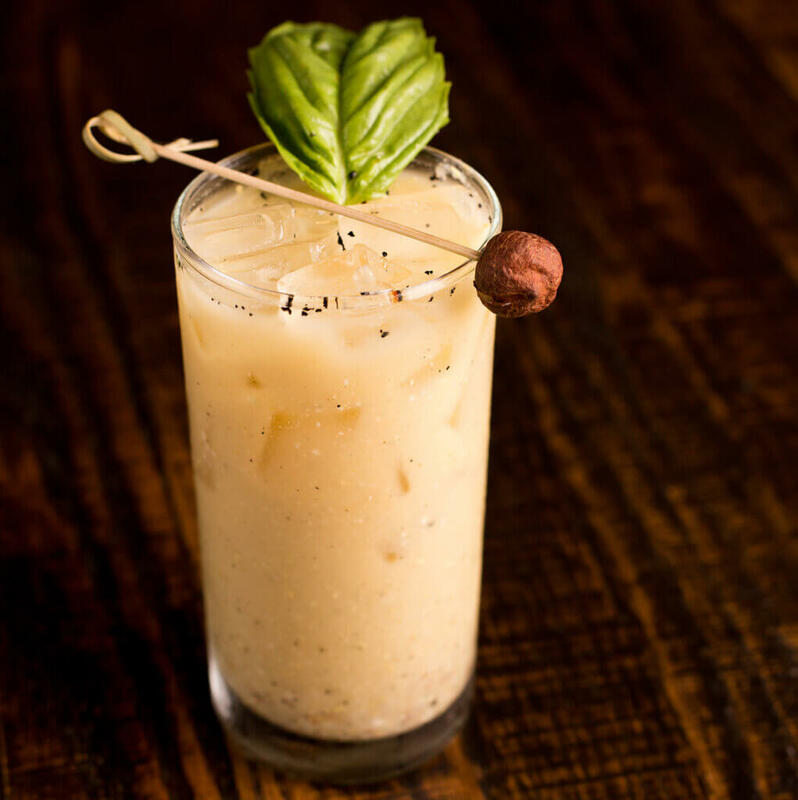 As Tanzy bartender Adam Seger observes, “Tiki culture is all about escapism. 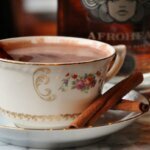 There is no better time of the year for Tiki than winter to indulge you in a retreat until summertime. 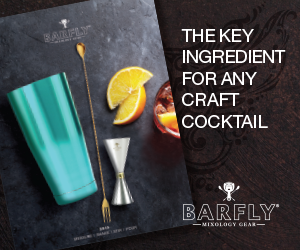 In this day and age, when classic cocktails are being deconstructed faster than the films of John Hughes, you are likely to find variations on a theme that could set even the most creative bartender’s mind spinning. 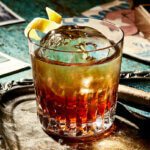 No longer are these modern iterations confined to rum. 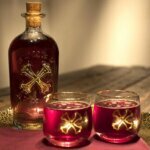 In the thick of winter, mix masters turn to other dark spirits like Cognac or Bourbon, as well as additional sweeteners like peach liqueur and bittering agents like amaro. In other cases, they are riffing on the old school versions to produce modern originals. 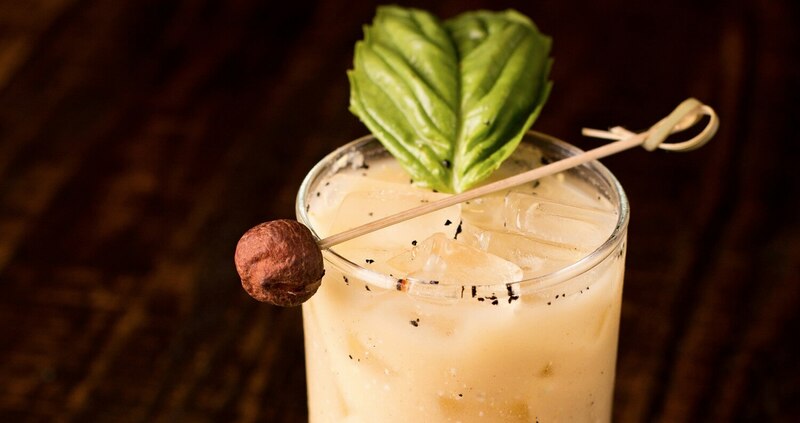 With these musings in mind, why not shake up something Tiki today? Donn and Vic would be proud. Preparation: Whip, dump, and swizzle all ingredients over crushed ice. Garnish with fresh mint & brûléed piece of pineapple. Preparation: Scoop sorbets in a bowl. Top with cola and rum. 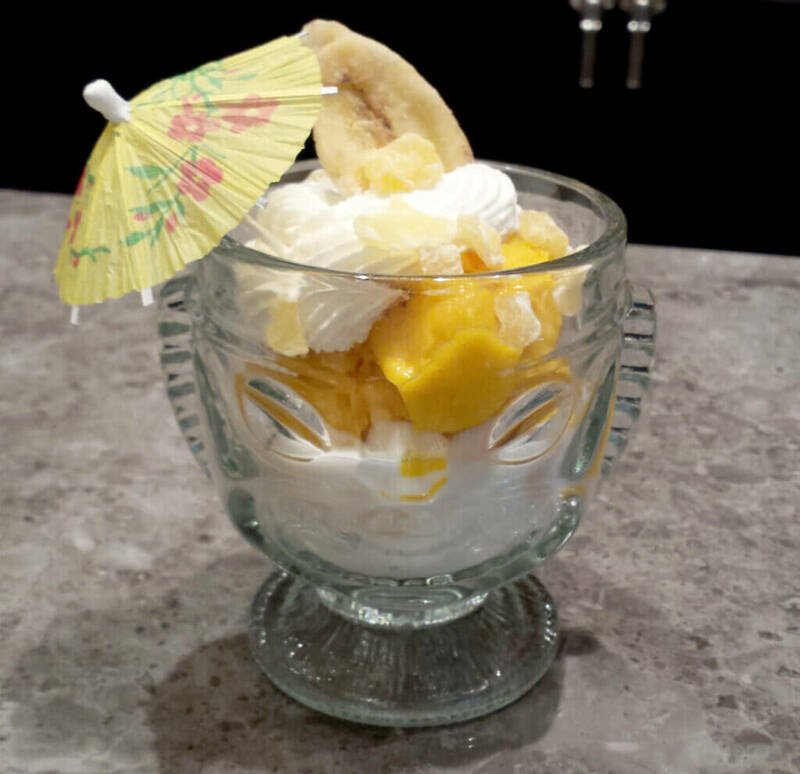 Sprinkle with banana chips, candied pineapple, and whipped cream. 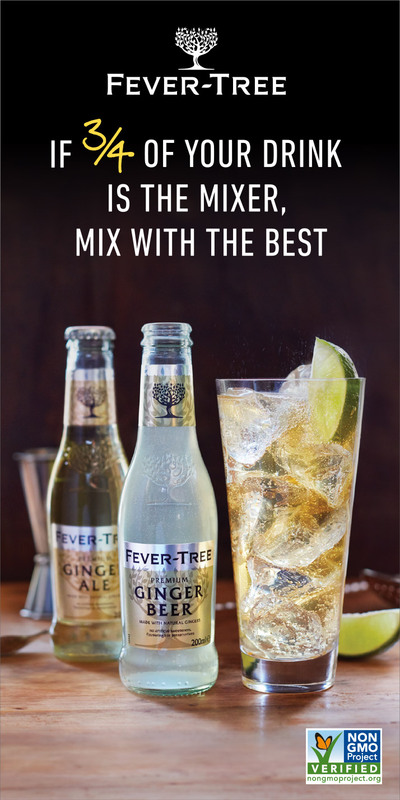 Preparation: Add all ingredients to a mixing tin (except bitters), add ice, cap and shake. Strain into a rocks glass half filled with crushed ice. Add more crushed ice until glass is full. Float Angostura bitters on top, then build a final mound of crushed ice on top. Place a mint sprig just off center of the ice mound, then place a cherry and a pineapple chunk on a spear directly on top. Add a straw and serve. Preparation: Peel and core a golden pineapple (it should smell sweet and the leaves should come easily out of the top). Cut the pineapples in 3/4” thick planks. Grill with no oil on each side until browned and caramelized. Let cool and cut into chunks. Remove water and meat from two sweet, young, Thai coconuts. Of the total volume or coconut meat and water, add the same volume of equal parts grilled pineapple and pineapple juice. Add pistachios. Puree just until pistachios are small enough to easily drink. Add Grilled Pineapple infused rum and serve. Preparation: Infuse for 72 hours, strain and re-bottle.